There's a chubby guy dressed like a chef who's been hanging around my kitchen lately. Nope, he's not a stalker or a disgruntled cook whose restaurant I slammed. --- He's called "CLAUDE," and he's a useful and good-looking kitchen companion. 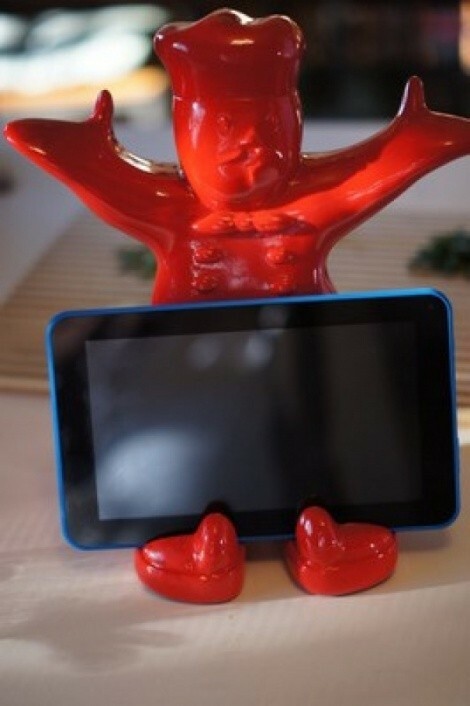 CLAUDE is sculpted to look like a classic toque-wearing chef and designed to prop up or hold cookbooks, iPads and other tablets. I find him extremely useful as I increasingly use my tablet, rather than cookbooks, in the kitchen to look up recipes..
Of course, you don't HAVE to use CLAUDE in such a functional manner. 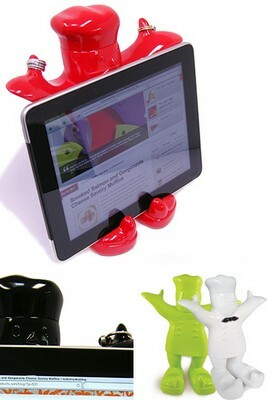 You could just use him to hold your tablet while you watch Iron Chef or DuckDynasty as you're prepping your evening meal. CLAUDE comes from an Australian company called Make My Day and retails for around $35. My CLAUDE is fire-engine red, but he also comes in lime green, white and black. 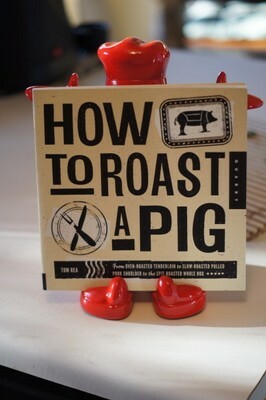 He'd make a great gift for your favorite foodie.